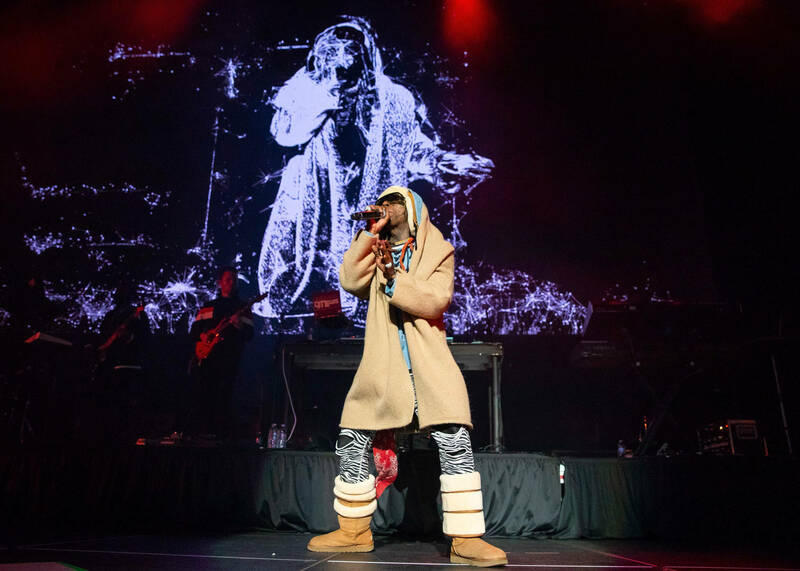 Lil Wayne's love for Ugg boots is well-documented and on Thursday the 36-year old rapper took that affinity to the next level when he hopped onstage in Detroit to perform with an $800 set of Ugg boots designed by Y/Project at the Little Caesars Arena. This particular pair featured three different foldover layers and with them, Weezy rocked a matching shearling aviator hat to complete the looks. The full outfit, however, was pieced together with a set of zebra print pants, a denim shirt and a wooly beige coat to top everything off. Y/Project is a Parisian brand that is known for its exaggerated Uggs designs, including an infamous pair of thigh highs worn by Rihanna at Coachella back in April. Wayne was in Detroit for the WJBL Big Show, but next up, he'll be heading to Miami for a New Year's Eve show at the LIV nightclub alongside Nicki Minaj. Currently, not much is offered up about just what capacity Wayne and Nicki will fill at LIV. But, it's sure to be a great end to a strong year for Weezy who finally blessed the masses with Tha Carter V, rightfully repositioning himself in the ever-present GOAT debate and giving us a few bops to match.